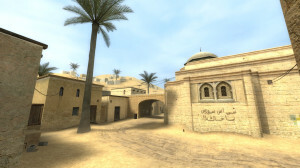 Dahshur City is a Bomb/Defuse scenario that focuses on quick rounds and fast-paced action. It uses the same art style and texture set as Dust and Dust2 and I believe that I achieved my objective of matching the visual quality of those maps. Dahshur City (or just “Dahshur”, as it’s more commonly known) has a long history. 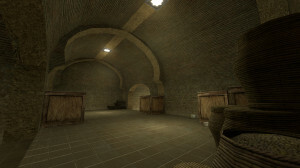 It started as a Counter-Strike 1.6 map, created by another South African gamer going by the nickname: “LAzor”. The map was so well loved by South African gamers that the SAIX Games Service (SGS) hosted a 24/7 server for it. Since then, Dashsur has become somewhat of a tradition amongst South African Counter-Strike players. 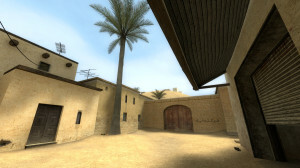 When Counter-Strike: Source was released, many gamers wanted to see their old favourite ported over to the new engine. Two other mappers made their attempts at recreating the classic but it was my version that was eventually chosen and it has enjoyed thousands of hours of usage on the SGS Dahshur server. Hey there! I remember playing this map in 1.6 in South Africa. I still remember that there used to be a dedicated server for Dahshur3 and it was for 56k modem players only as our pings’ would all be around 150! I am wondering if there’s a CS:GO version of this map as it brings back so many memories. I haven’t created a CS:GO version of Dahshur but I recall that one or two people had begun work on ports but that was quite a while ago. I haven’t seen anything recently. HI there, is this still being ported for CSGO, if not I’d love to try my hand at it. I miss this map! Since I made that previous comment, I haven’t seen or heard anything more regarding any CS:GO versions of Dahshur. You’re welcome to try remaking it for CS:GO if you want. I have no plans to do that myself. 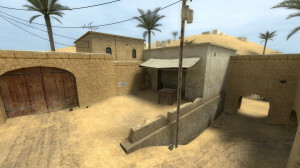 I have a remade version of Dahshur for CS GO, anyone willing to host it? I would suggest uploading it to GameBanana. Also, you could contact some of the South African CS:GO server providers and see if they’re interested. By the way, I’d be interested to check it out. Have you uploaded it anywhere yet? Maybe share it on steam workshop? Bear in mind lots of ppl find matches through matchmaking and only really use community servers for bhop / aim etc. But maybe a dahshur only server can bring a lot of ppl regularly. Just waiting for steam workshop publish to stop giving em error code 10 or error code 16. I hear its a valve server issues, once i work that out it will be on the steam workshop, if all else fails will post it on game banana. lol I still remember playing this map of yours on the SGS servers back in cs:s days. Hey, Churchie! Indeed, fond memories of good times had on SGS CS:S servers. It’s been a long time – basically a decade. I’ve been fine, and you? Map was originally made by a guy named Neil Fouche (LAzer) back in 2010 and exploded after a South African clan (xTc) competed in korea and practiced there on it. The original map only featured 4 spawns per team. Thanks for the info. I didn’t know LAzor’s real name was Neil Fouche. That said, the date you refer to can’t possibly be correct. 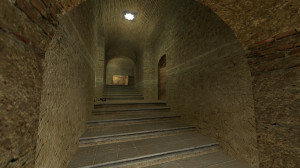 My first memory of playing the original CS 1.6 version of de_dahshur3 was at Organised Chaos LAN in 2004. I created this CS:Source remake in 2005. The copy of de_dahshur3.bsp that I have has a ‘Date Modified’ of 13 October 2001. Did you write 2010 by mistake? The man who made Dashur css version. Im looking for the old 1.6 map. Would like to host it if anyone can just email me if they may have it?